In 2012, the San Sebastian Festival launched the I Europe-Latin America Co-Production Forum. Its priority objectives are to foster the development of audiovisual projects, encourage collaboration between professionals and promote an opening out towards new international markets. Intended for fiction and not fiction developing works, the Co-Production Forum is open to film projects from Europe and Latin America. Those responsible for projects will have the opportunity to present their works to industry members at pitching sessions and they will receive a personal agenda of appointments with professionals interested in participating in their projects. The Forum also includes initiatives to prompt informal meetings between participants, as well as talks and round tables to encourage the exchange of experiences and knowledge of key matters related to the audiovisual industry past and present. The Co-Production Forum takes place at the San Telmo Museum, near the Príncipe Cinemas, venue for the Films in Progress and Glocal in Progress screenings. 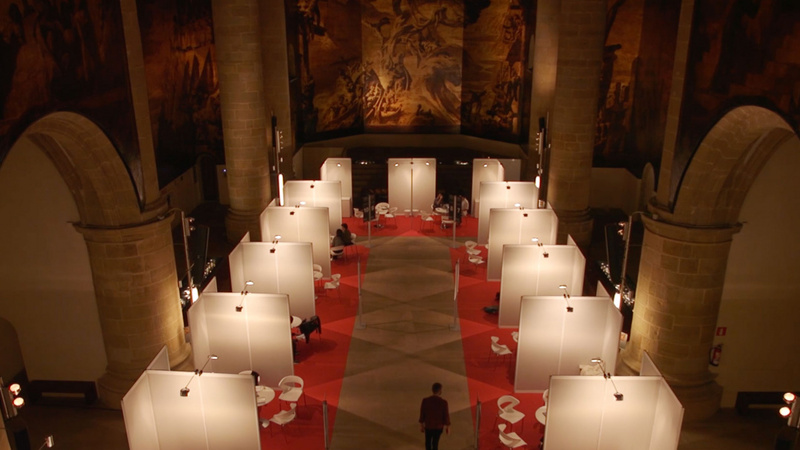 During the event, the Forum also becomes a meeting place for all industry professionals present in San Sebastian. In the Co-production Forum, important prizes are awarded as the Best Project Award; the EFADs-CAACI Coproduction Award; the Eurimages Development of Co-production Award and the Arte Kino International Prize. As an extension to the San Sebastian Forum, and as a result of the "Forging Alliances" collaboration agreement signed with the Marché du Film-Festival de Cannes and Argentina’s INCAA (Instituto Nacional de Cine y Artes Audiovisuales), a number of these projects will be able to continue their international trajectory thanks to participation in the Ventana Sur market and in the coming edition of the Cannes Producers Network. This initiative will lend a decisive boost to their international promotion. In 2018, collaboration increased between the San Sebastian Film Festival and Ventana Sur, Latin America’s biggest film market, organised by the Marché du Film-Festival de Cannes and Argentina’s INCAA (National Institute of Cinema and Audiovisual Arts) with the launch of Proyecta. This new activity promotes co-productions with Latin America and fosters the international journey of European projects selected for the Europe-Latin America Co-Production Forum. Since it was created in 2012, the Europe-Latin America Co-Production Forum has had 114 selected projects, of which 47 have been completed, 28 are currently at the pre-production or postproduction stage, and 22 have been selected for international festivals such as Berlin, Cannes, Locarno, San Sebastian, Sundance and Venice. To access the Terms & Conditions and submit a project, click here. The Co-production Forum is open to Latin American and European projects at the development stage. European projects must have a direct link with Latin America: involvement of a Latin American producer, shooting locations, actors in the leading roles or subject in the script. Minimum duration of 60 minutes and transmedia projects taking cinematographic film as one of their main platforms. Journalistic or informative audiovisual reports will not be considered as non-fiction projects. It will be an advantage if the project is being presented for the first time at a forum, if the production company has already carried out at least one international co-production, if it innovates in formats and addresses new distribution and financing formulas, and if complementary material is presented including earlier works completed by its director. Online registration (To submit a project you must be registered, log in and click "new project"). Reasons for the producer's involvement in the project. General approach and timeline of the production. Reason(s) behind the project and its audiovisual focus. Plot treatment of the film, its dramatic structure and character development. Non-fictional films: creative structure of the project. Breakdown by items of the global film budget. The funding plan (max. 1 page) must indicate the anticipated sources of funding for the film, indicating the budget amounts already obtained. For this initiative, the San Sebastian Festival launches a public call for the submission of film projects at the development stage. The call is circulated to all of the industry professionals in the Festival data database, is published in the media and is announced on its website www.sansebastianfestival.com. The Festival will select a maximum of 20 projects for participation in the Co-Production Forum based on the reports of three international experts. Those responsible for the projects may find strategic, industrial and financial partners to co-produce their projects among the professional guests at the Festival. They will also have the opportunity to present their works to industry members at pitching sessions and will be provided with an individual agenda of meetings with professionals interested in their projects. The Europe-Latin America Co-Production Forum will take place on 22nd, 23rd, 24th and 25th September 2019 in the framework of the 67th edition of the San Sebastian Festival. Minimum duration of 60 minutes and transmedia, crossmedia and multiplatform projects taking cinematographic film as one of their main platforms. Journalistic or informative audiovisual reports will not be considered as non-fiction projects. The projects will be presented by the production company and the director or directors must be involved in them. European projects must have a direct link with Latin America: involvement of a Latin American producer, shooting locations, actors in the leading roles or subject in the script. The producers of the projects must present a budget in euros and a funding plan with at least 20% already assured. Projects can be submitted, free of charge by duly completing the online submission form and accepting these rules & regulations as a preliminary condition. To present additional images, the interested party must provide a web link where the material in question can be viewed. Material in physical format will not be accepted. The Festival will recognise the person who signs this confirmation as the sole representative for all aspects related to participation of the project in the Co-Production Forum and as the sole responsible as opposed to other companies or individuals involved in the project. The decision taken regarding the selection of projects will be final. The invitation made to each project will remain strictly confidential between the San Sebastian Festival and the producers or representatives of the project until such time as the Festival decides to make an official announcement in this regard. Confirm participation of the project in the Europe-Latin America Co-Production Forum. Confirm their presence and/or that of the director during the dates of the Forum. It is however recommended that both attend. Send all additional information requested by the organisation for its catalogue or website in English, Spanish or Basque within the requested time. The Festival will present the VIII Europe-Latin America Co-Production Forum Best Project Award carrying EUR 10,000 for the majority producer of one of the selected projects. The prize money, always paid in euros, will be handed over either as a bank cheque or as an international cheque. The Conference of Ibero-American Audiovisual and Cinematographic Authorities, CAACI, and the European Film Agency Directors, EFADs, will bestow/ present the Europe-Latin America Co-Production EFADs-CAACI Award, going to the producer of one of the projects selected for the Co-Production Forum. 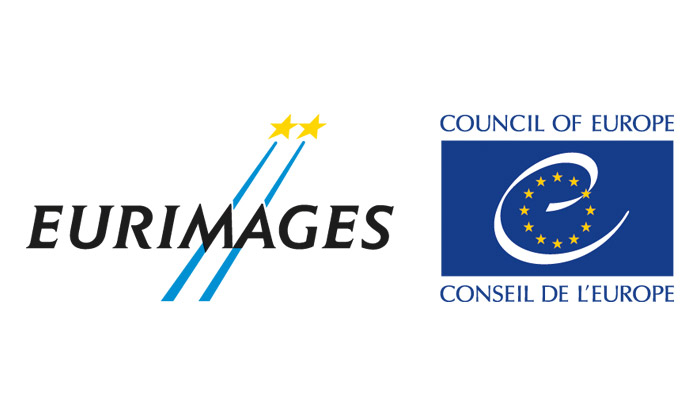 The Eurimages Development Co-production Award, a cash prize of EUR 20,000 euros for feature films has been created to promote the Fund's role in encouraging European co-production from the initial stages of a project. The eligible projects must have been submitted to the VIII Europe-Latin America Co-Production Forum by a producer established in a Eurimages's Member Country and have the intention to involve at least another Eurimages' Member Country. Moreover, ARTE France Cinéma will present the ArteKino International Prize carrying EUR 6,000 for the majority producer of one of the selected projects at the VIII Europe-Latin America Co-Production Forum. Once production of the projects is complete, those responsible for them must include the Europe-Latin America Co-Production Forum logo in the credits of the definitive copy. This logo is available in various languages on the festival official web site. All doubts arising from the interpretation of these rules and regulations will be solved by the San Sebastian Festival Management. In the event of discrepancy in the interpretation of these rules and regulations, the Spanish version will apply. The Europe-Latin America Co-Production Forum Best Project Award carrying EUR 10,000 gross, will be handed over either as a bank cheque or as an international cheque (always paid in euros) to the majority producer of the winning project. The Europe-Latin America Co-Production Forum Best Project Award is open to competition by all projects selected for the event, with the exception of those presented in the framework of special collaborations. The EFADs-CAACI Europe-Latin America Co-Production Grant, will be handed over to the majoritiy producer of the winning project (amount to be defined). The EFADs-CAACI Europe-Latin America Co-Production Grant is open to projects selected for the VIII Europe-Latin America Co-Production Forum. The Eurimages Development Co-Production Award, a cash prize of EUR 20,000 for feature films has been created to promote the Fund’s role in encouraging European co-production from the initial stages of a project. The eligible projects must have been submitted to the Europe-Latin America Co-Production Forum by a producer established in a Eurimages’s Member Country and have the intention to involve at least another Eurimages’ Member Country. The ArteKino International Prize carrying EUR 6,000 gross will be handed over to the majority producer of the winning project. The award is sponsored by ARTE. Representatives of ARTE will attend the Europe-Latin America Co-Production Forum in order to award the ArteKino International Prize. The ARTE Kino International Prize is open to competition by all projects selected for the event, with the exception of those presented in the framework of special collaborations. The Award will be subject to the current tax regulation. Agustina Chiarino (Uruguay, 1977) is a Technician in Political Sciences, holding a Degree in Communication Sciences and a Master's in Creative Documentary. She has produced and co-produced more than a dozen award-winning feature films premiered at Cannes, Berlin, San Sebastian, Sundance, Venice, Rotterdam and Toronto among others: La discípula del velocímetro, Gigante, Hiroshima, 3,Tanta agua, El 5 de talleres, Historia del miedo,Miamiga del parque, Las Olas, Locura al aire, Benzinho, Las Herederas and Monos. For 8 years she was responsible for developing new projects and co-productions at Uruguay's Canal 10. From her production company, Mutante Cine, she joins EAVE to co-organise the Puentes workshop for producers from Latin America and Europe. She has taught at several universities and film schools, including the EICTV in Cuba. She is a tutor at the Biennale College, BrLab; BiobioLab and Puentes. She was formerly responsible for reading and selecting projects for the Doha Film Institute, Torino ScriptLab, the INCAA Incubator, Chile's Corfo and CNTV and Proimágenes Colombia among others. She has been a jury member for industry sections and films in international festivals such as San Sebastian, Locarno, Cartagena, Miami, BAFICI and Malaga. BSc in Economics from Valladolid University. In 1995 he moved to Paris, where he started working for the French distribution company, Colifilms, specialists in the distribution of Spanish and Latin American films in France. Meanwhile, he coordinated several co-productions with Spain and Latin America, through the French production company, Albares Productions. Since 2002, he has been directing programmes at the Forum des images, a film institution subsidised by the City of Paris. Parallel to the above, he has collaborated with a number of film festivals. He coordinated the International Film School Meetings at the San Sebastian Festival (2005 to 2007). He worked as a delegate for Latin America for the Quinzaine des Réalisateurs in Cannes (2006 to 20011), and for the Berlinale (2013 to 2019). He was a member of the Cinéma du Réel selection committee (2014 to 2018). Today, he is a delegate of the Marrakech Festival and programmer for the BIFF-Bogota International Film Festival. Andrea Stavenhagen, the San Sebastian Festival's delegate for Latin America holds a Degree in History from the Universidad Nacional Autónoma de México. She began her professional career in the field of film promotion and dissemination collaborating in the Directing of Short Film Production at IMCINE. She went on to become Deputy Director of Research and Dissemination at the Centro de Capacitación Cinematográfica. At the Guadalajara International Film Festival she was head of the Ibero-American Co-production Meeting. She was the Director of Industry with the FICG until August 2013. She also co-directed the Morelia Lab Workshop for Young Producers in Latin America at the Morelia Film Festival.